INDIANAPOLIS (AP) -- Three Americans are in the semifinals of the RCA Championships for the first time since 1992. Top-seeded James Blake, second-seeded Andy Roddick and No. 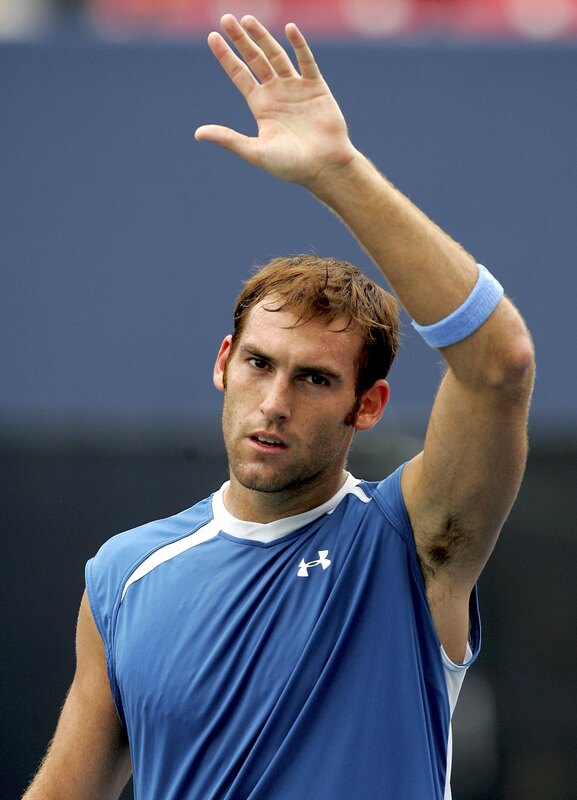 4 Robby Ginepri all advanced with straight-set victories Friday. Ninth-seeded Xavier Malisse of Belgium, who will play Blake in one of Saturday's semifinals, also won his quarterfinal match in straight sets. 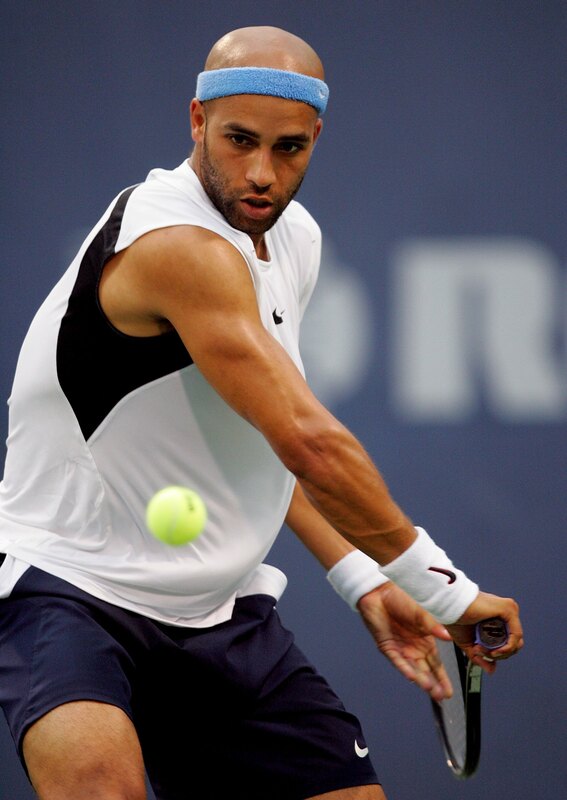 Blake, who is a career-high sixth in the ATP rankings, had the biggest challenge. He won two tiebreakers to get past 10th-seeded Nicolas Mahut, 7-6 (2), 7-6 (5). Mahut, ranked No. 70, won the first two points of the second tiebreaker. Blake took the next two points and went on to win the match when his 31st winner hit the backcourt line. The last time three Americans were in the semifinals here it was Pete Sampras, Jim Courier and Todd Martin. Roddick needed 63 minutes to defeat 12th-seeded Gilles Muller 6-2, 6-3. Ginepri cruised past No. 8 Paradon Srichaphan 6-4, 6-1 as he tries to defend his tournament win from last year. Roddick, the 2003 and 2004 champion here, had 19 winners and five unforced errors to avenge his upset loss to Muller in the first round of the U.S. Open last year. "He broke my heart last year,'' Roddick said. The former world No. 1 credited Jimmy Connors with helping him prepare for the tournament. Roddick, who had the fastest serve of the tournament so far at 145 mph, lost six points on his serve. Three of them came on the opening three points of his first service. Roddick then held by winning five consecutive points. "With the exception of that first service game, I felt I was in every game. I didn't miss a lot of returns. I felt it was a pretty solid effort,'' he said. The victory gave Roddick a 15-1 record at Indianapolis. His only loss here was to Ginepri in last year's quarterfinals. Ginepri lost seven points on his eight service games and is hoping that his trip to Indianapolis turns around a season in which he has lost in the first round of 14 tournaments. Malisse also advanced with an upset of third-seeded Fernando Gonzalez 7-6 (4), 6-4. Ginepri said he was surprised by the ease of his victory. Srichaphan didn't complain of illness or injury to doctors or trainers, an ATP spokesman said. Malisse defeated Gonzalez with the help of the U.S. Open Series debut of instant replay, as three challenges all went his way. Gonzalez, No. 16 in the ATP rankings, had trouble handling Malisse's serves and hurt his cause with 32 unforced errors. Malisse, meanwhile, lost five points on his serve in the second set.